Start your own "Find Lost Princesses" agency and find your one and only! King Roland has put his son, Prince Arthur, in charge of the Finding The Lost Princess service. 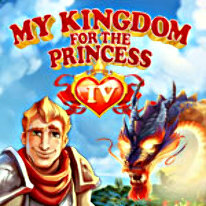 As it's well known that in the course of any normal princess' life she will be kidnapped at least once by a dragon, bewitched by an evil sorcerer or find herself in some other sort of dire peril, Prince Arthur finds his service to be in great demand! Suddenly finding himself overwhelmed with quests, Arthur will need to rely on his ingenuity and courage. But he can't do it without you! Help Arthur manage all of his tasks and encourage him to become the true hero he's destined to be.